We've just uploaded a comprehensive collection of photos from the 2012 North American International Auto Show. 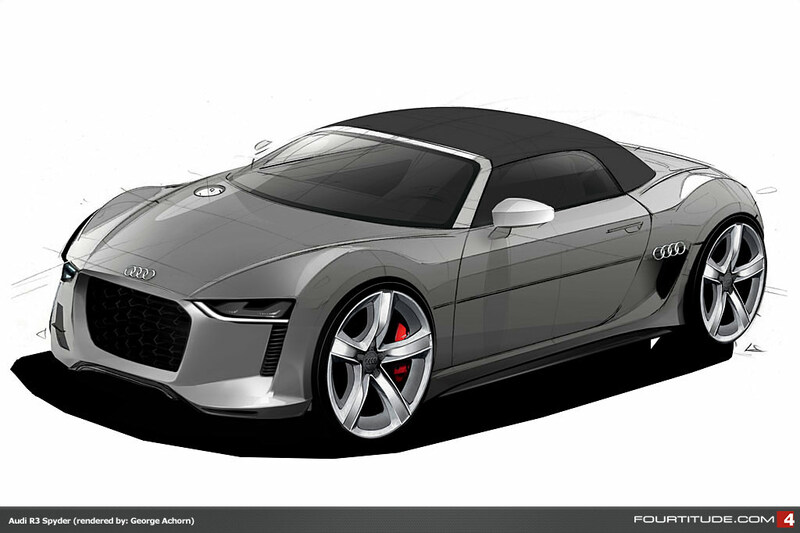 The mix includes the Audi Q3 Vail design study, the new updated Audi RS 5, S4, A4 allroad, A8 3.0 TFSI, A3 e-tron, R8 GT Spyder and more. See them all via THIS LINK. Tonight Audi has revealed the first photographic imagery of its upcoming Audi A2 concept bound for Frankfurt. Last week, several drawings of the A2 surfaced along with some press copy that described it. Below is the copy. McLean, VA based comedian GoRemy has just published his latest album entitled [i]The Falafel Album[/b] and we're particularly enjoying one cut on it entitled Saudis in Audis. Remy's become pretty well known, having appeared on MTV, Best Week Ever, CNN, Fox News, ABC News, Anderson Cooper 360 and more.